Portugal has been demonstrating over the years a high dependence of imported fossil fuels, especially with regard to the energy sector. This situation led to the increasing development of renewable energy projects, framed by an European strategy, aimed at creating “a competitive, sustainable and secured renewable energy system” with particular emphasis given to the electricity production sector. With regard to this electricity sector, the urgent need to balance supply and demand as well as the growing concern about environmental issues opened way to a significant investment in the exploitation of renewable energy sources (RES) looking for more efficient strategies in terms of economic and social or environmental dimensions. Thus, following different studies focusing in other countries, this paper presents an approach to a 100% renewable electricity system in Portugal, supported by the application of the model EnergyPLAN. The importance of the interconnection as stabilization measure for a system highly dependent on renewable energy sources of variable output is put in evidence. 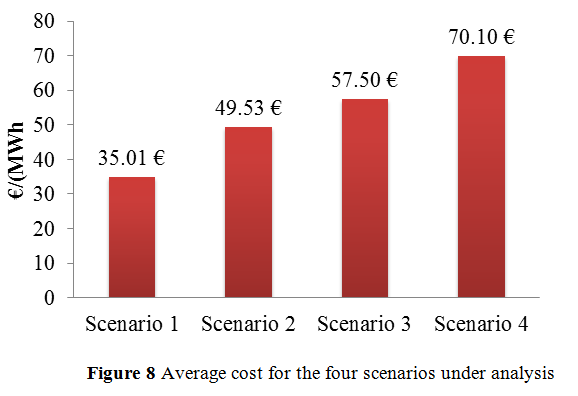 The results also establish that the cost structure of each scenario is mainly driven by the low marginal cost of renewable technologies along with their high investment costs.